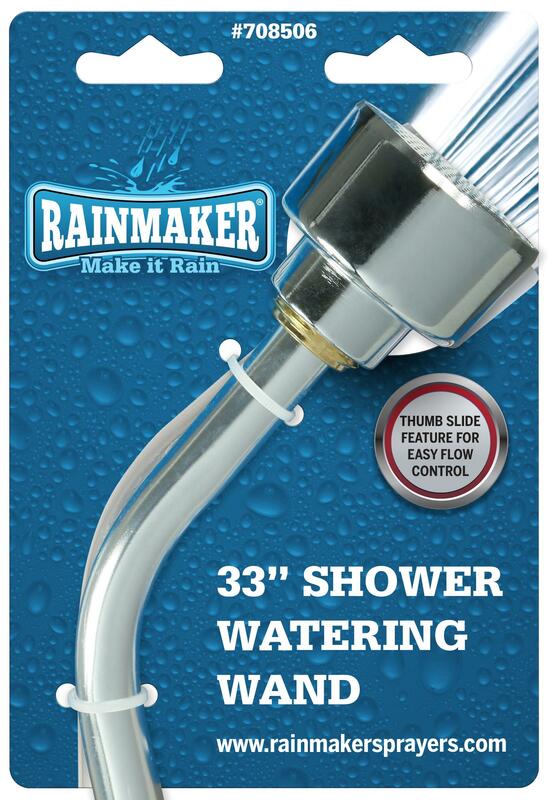 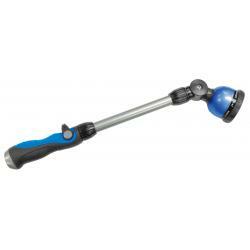 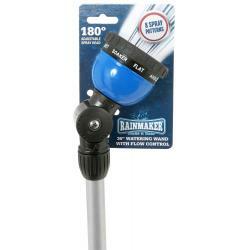 Rainmaker® Shower Watering Wand makes watering plants easy. 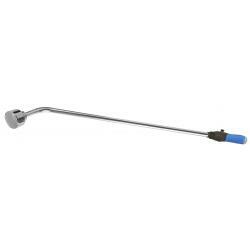 Feel the comfort and ease of use with the ergonomic comfort grip handle with sliding thumb valve that lets you control the water flow. 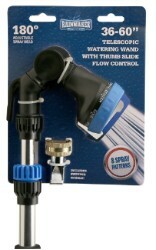 This wand gently showers your plants with a smooth and even coverage of water. 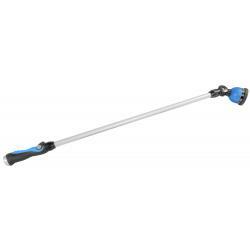 Comes in 33 inch length.